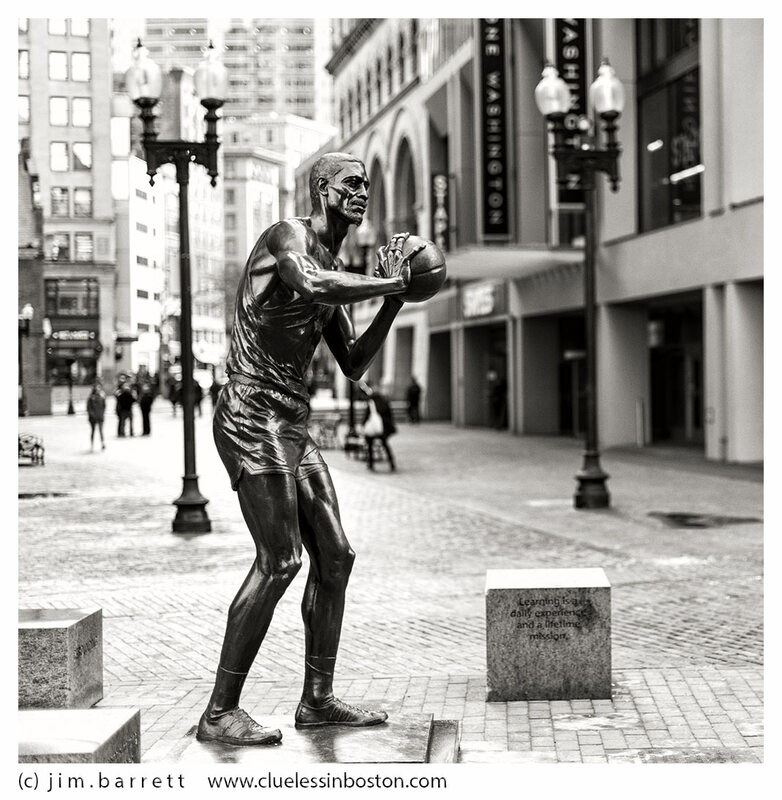 Statue of Boston Celtics great Bill Russell, located on City Hall Plaza. Must be a great feeling for the athlete being honoured in this way. Adding Bill Russell to a team that already had Bob Cousy and Bill Sharman was what launched the Celtics on their long run of excellence. I didn't know this statue is on the Plaza.